Five team's from last year's Race of Champions field return to the 2017 FLRunners.com Invitational. We break down each squad and see who has the best chance to take home the hardware at Holloway Park. 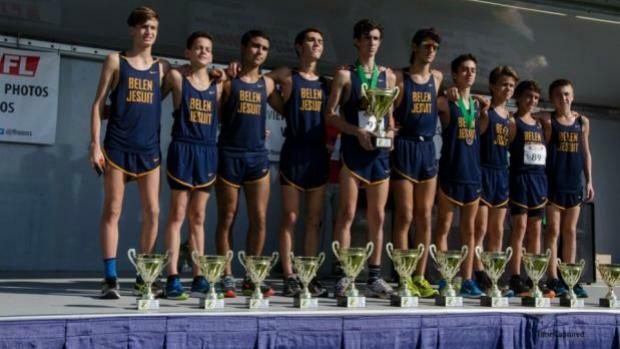 The field is headlined by 2016 runner-up Belen Jesuit, who finished third at the 3A Cross Country Finals. All ten of the Wolverines are back including Joshua Collins who was third overall. Much like Belen, Estero has been a fixture at the FLRunners.com Invitational for a long time. The Wildcats finished sixth last year and are projected for a top five finish this year despite losing five of their ten runners from 2016. Hugh Brittenham was 25th as a sophomore with teammate Dean Gamblin 53rd. Gulf Coast is a team that could sneak up on folks in Lakeland. They ran eight guys at last year's meet and only one of them was a senior. Junior Nicholas Kamen was 17th overall in 16:37.10 and should be back into premier shape come this fall. Olympia is another gritty program that is no stranger to the FLRunners.com Invitational. Last year, the Titans were 11th and return their number one runner in Oneel Occenat for his junior season. Immokalee rounds out the group of teams returning. The Indians were 17th last year, but have a good mix of youth and experience with four senior and four sophomores. Senior Mackenson Yrelus was 44th in 2016. Other teams who did not compete in the Race of Champions last year, but are some of the top entered include Wharton, Robinson, Sarasota, and St. Cloud.